"The Lord is my shepherd, I shall not be in want." Sound familiar? It probably does, even if you've never picked up a Bible. How many times have I read this verse, heard this verse, recited this verse in my head....which, unfortunately, has the tendency to make it become commonplace and not too stand-out-ish. Like a run of the mill phrase, it tends to lose its impact over time. Until this morning, when it leapt off the page at me. Just that one sentence. Just that one line. The power was infused back into it in a heartbeat. "The Lord is my shepherd...." I was quickly reminded who's driving this sheep's bus. God knows the fields I cannot see with my human eyes. He knows that the grazing "over there" that I am so sure is better than the "right here", isn't. He has me here, in this pasture, at this point in my life, for a reason. It occurred to me that perhaps where I am at this time is not necessarily because I'm the one who's lacking, but because the other pastures that I've been longing to be taken to aren't ready yet. They've been eaten up by the last flock who wandered through, leaving them dry and barren, the delicious grass nibbled to the roots with nothing left to provide nourishment or satisfaction. God is well aware that if it was up to me, I'd stroll my woolly self out my present gate and go trotting off to where I think I should be by now, only to be disappointed to find nothing to munch on, no water for my thirst, and no still waters to lie down beside. And that makes for one sad sheep. After reading just that one sentence, just that one line, my view of life shifted. My heart heard God telling me that the grass is plenty green and plenty thick right where I'm currently grazing. It was as if He was saying, "Why would you want to go elsewhere when I've provided so much for you here? Let the other fields grow a while; we'll go there when they are ready." We'll go there. He'll lead me. Out of this pasture and on to the next, when the time is right for both the sheep and the field. Now, that makes sense. And I'm glad it does, because I need to get busy munching. I can clearly see the good grazing; it's all around me right where I am. Which is where it's been all along. Just like a good politician, I am looking for your vote! I have a story submitted on the site, CausePub, where many people have entered their "I got off the couch and did something about it" stories. The best ones (with the most votes) will be published in a book whose proceeds will go to provide 45,000 people in Africa with clean water. Here's an excerpt from the site- "CausePub has teamed up with Blood:Water Mission. For every book sold, Blood:Water Mission, will be able to provide three people with clean water for one year. The goal of this Cause is to sell 15,000 copies, which means that 45,000 lives could be directly impacted by your participation in this CausePub Project!" "Couch Rebels' estimated release date is August 14th. 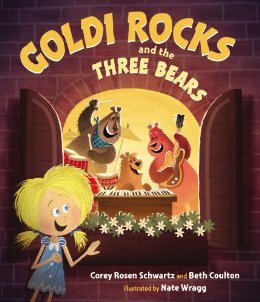 It is a crowd-published book, which means that 127 storytellers have teamed up to write it together since April 1st, 2013! We are now in the process of choosing the best stories and compiling them into the book. What’s the book all about? Couch rebels are people who have been outside their comfort zones (whether voluntary or involuntary) and have allowed those experiences to change their lives. 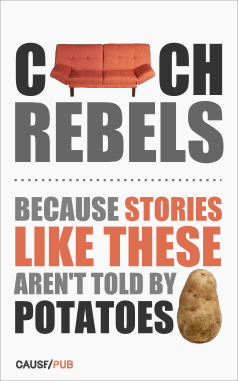 While the rest of society is imitating potatoes, couch rebels are learning, growing, and experiencing the incredible things life has to offer." And to think - I never knew I was one. "We have to verify via FB and Twitter to make sure people don't spam the system with multiple email addresses and stuff. Nothing will be shared with their friends on these networks, it's just a verification process." Hope that puts any fears to rest. It's a reputable site and a reputable organization. Thanks ahead of time and I'll keep you posted as to the outcome! When I wasn't even looking for it, I've noticed I have a flaw, a chink in my armor, that presented itself after the hectic pace of my past few days. It's something I've noticed in the past, but simply brushed it off while it nagged at me. And now that it's come calling time and again, I see that yes, it is indeed a problem. So I thought I'd work it out here in front of all of you. Allow me to be honest. I've discovered that there are things I'd rather not deal with. I discovered I bury my head in the sand and secretly hope big decisions will go away. But most of all, I discovered I like to be busy because then I can avoid what really needs to be done. Being busy serves a purpose for me - one that's not necessarily healthy or helpful to my life, but a purpose nonetheless. Whenever I have something I'd rather not tend to, launch into, or work on, activities on my calendar serve as scapegoats to keep me occupied so that I don't have to address things I don't want to think about. ( Those things, for all intents and purposes, are not really that bad. I just make them that bad). Apparently, being busy keeps my true feelings about certain items at bay. Not even "at bay"; let's say "completely out to sea". I know this because today, I ran out of activities. There was nothing left to mask what I had avoided but needed to be done. I found myself looking straight into decisions and pursuits that up until today had remained in the background, safely tucked away, because I didn't have the time to address them. They were out-to-sea, safely bobbing on the waves until I had the time to deal with them on shore. Although it seems like overnight, their ship came in. And I was far from ready. So here I am with my now-unavoidable tasks, projects and decisions. Am I going to trust God and go with what I was certain not that long ago that He was showing me to do? Why does it all seem so shaky today when I felt so certain yesterday? I think I know why. It's because my faith needs some stretching. God hasn't changed. My circumstances haven't changed. But my doubt has begun to grow, like a weed in a garden that hasn't yet been pulled out by its roots. Am I going to listen to doubt? Or am I going to listen to God who clearly gave me direction, even though He seems silent at the moment? God wants me grow. He wants me to succeed. He will allow those doubts to creep in so that I learn not to listen to them. It would be easier to do that - to listen to the doubting, condemning voices and let those weeds take over and throw in the towel. It's harder to press on and work through the uncertainty and come out on the other side. Change is hard. Trying new things is hard. Fear of failure runs rampant, and sometimes it's just easier not to try. But I would let myself down if I stopped now, if I didn't do what I feel God has called me to do, no matter how crazy or difficult it may seem. God takes me seriously, and I need to do the same with Him. what if the little things really are the big things? "The scenery of life is dull at the moment. I'm constantly in a wondering state of "what's next?" I don't want to be there all my life; I want to eventually arrive at where God wants me to be. Just take the next step - that's really all I can do right now, today." Even though that was penned last year, it startled me to realize I would still write the same thoughts today. I realized that I could end up doing exactly what I wrote that I don't want to do - "being there" on a waiting stage all my life, missing most of it while I'm passing time hoping that God shows up and does something ultra-amazing in my life for all the world to see. I fear that I am spending my days, my time, overlooking what seems to me to be small stuff while I am gearing up for the big stuff I just know is on its way. Then it hit me. Why do I think God is still holding onto the One Big Thing for me that will come and change my life and unlock my Purpose Door? What if He's already given it to me? What if it's here, all around me, in what I already have? These life gifts that I take for granted every day; healthy children, jobs, cars, home, food, passions, love, joy, community, and the list goes on......What if all the small stuff really IS the big stuff I've been waiting for all this time? The fact is, all that I have may very well be all I will ever have. And if that is true, (and I'm going with the assumption that it is) then it's my thinking that needs to change, not God's performance. So, I decided to make a choice. It has something to do with contentedness, and a whole lot to do with perspective. I purposed to see the things I've usually counted as small and only marginally significant as the way God intended for me to see them - great gifts I have been blessed with, which indeed they are. It's more than just counting my blessings; it's raising the bar to count the ordinary, the everyday, the taken-for-granted parts of my life as purposeful sendings from God that are nothing short of miraculous. Because first of all, that's true; and second of all, until I do that, I'm missing out. I don't have to worry that I'm not doing what He wants me to do; I just need to be concerned that what He's given me to do, I do well. I'm tired of looking out there for what I already have right here. To quote an old cliché that I must use because it works so well, I am choosing from this point on to dig in deep and bloom where I'm planted. No more looking to future "if's" and "when's" to get me through the here and now. The here and now is what I have, and it is indeed more than enough. It's what God planned and designed specifically for me. Which makes it pretty awesome. This is a fun post to write. If you would, take a moment to read my first post on this blog here. Then, you will understand why I have great pleasure in writing that our book is available for pre-order on Amazon, with a release date of February 6, 2014. Woo Hoo and let the fun begin!